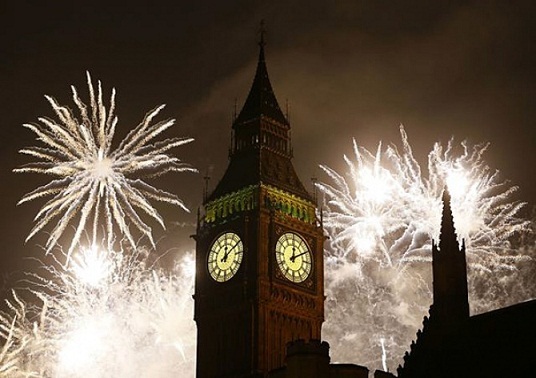 New Year is probably one of the oldest and most popular holidays around the world. This is celebrated with great zeal and pleasure. 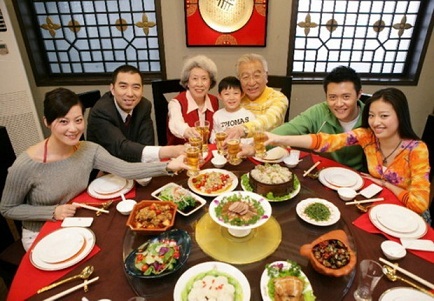 From generations to generations, it’s fascinating how do we keep the New Year Traditions alive. Globally, not only a few but most of us are practicing the customs and are all strong believers of the good luck and prosperity it brings. As the clock strikes 12:00 Midnight, people in different parts of the globe start to express their heartfelt New year messages to their loved ones. They observe this custom as they bid goodbye to the old year.In America, traditions are rooted from elsewhere and ancient times. They have 3 most popular New Year traditions. January 1st is a day filled with so much merriment and celebration. This is the day wherein all the people can succumb to the things that they want to do without any feelings of regrets. This is also the day wherein everybody can relax and spend some time with their loved ones. However, to make the most of the New Year, why not adhere to the old practices associated with the occasion? These practices are mostly rooted to customs and traditions back in the ancient period. The reason why these practices are still being done until today is because it has been handed down from one generation to the other. 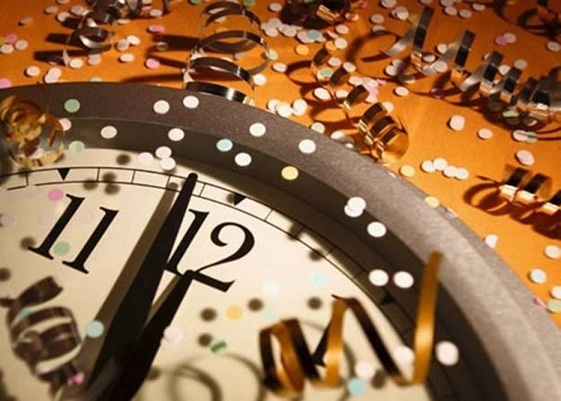 Making New Year’s resolutions is probably the most practiced custom during the New Year. These resolutions can be about anything and are made with determination to be fulfilled. Unfortunately, there are always instances in which people break them. Nevertheless, they just laugh at it eventually. It is not New Year when there are no colorful fireworks and loud noise. The purpose of the loud noise is to drive away the evil spirits that are lingering inside the house and to bring the blessings of New Year in. Fireworks, on the other hand, fill the occasion with energy and provide its much needed grandeur. 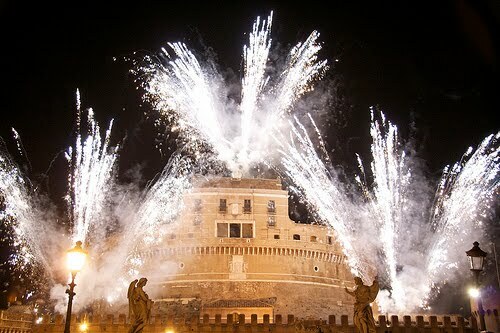 Moreover, fireworks add vivacity to the occasion and it makes sure that the celebration will not easily be forgotten. New Year traditions are also evident on the food that people should prepare and eat during the occasion. There is the widely-believed concept that consuming food with a ring shapes will attract luck. Doughnut is one of the most popular New year recipe. Other foods that are said to have the capacity to bring in luck and wealth is black-eyed peas and twelve grapes. Another common practice during the New Year is visiting to places of worship like temples, shrines and churches. People would thank to their God for all the blessing that were given to them the previous year. They would also pray for more blessings for the future. This practice provides peace and contentment to everyone. People believed that praying for their God before starting a new year is needed because a new year indicates new beginnings. As part of the New Year celebration, people are exchanging New Year greetings in different forms like cards, ecards, postcards, emails and SMS. There are many New Year cards available online and bookstores that you can buy and send. Dropping of Ball. New York City, Times Square at exactly 11:59 pm crowds are gathered to watch the ball as it drops once the clock strikes at 12. It began in year 1997, made of iron wood. At present, it is made of Waterford Crystal. Rose Bowl. Pasadena, California was started on 1886. The floats were said to be innovative and elegant. The Tournament of Roses parade that precedes the football game on New Year’s Day is made up of elaborate and inventive floats and began latter 1886. Know more about Rose Bowl. New Year’s Kiss. Love is in the air at midnight throughout the United States as a kiss purifies a being from the evil spirit represented by masks. This tradition is observed years ago from a masquerade ball generations. Interestingly as it may sound, here are some more traditions from all over the world. Get ready to be amaze! New Year’s Eve celebration is one of the most celebrated events for the Japanese people just like the rest of the world. Here are several traditions that everyone enjoys. 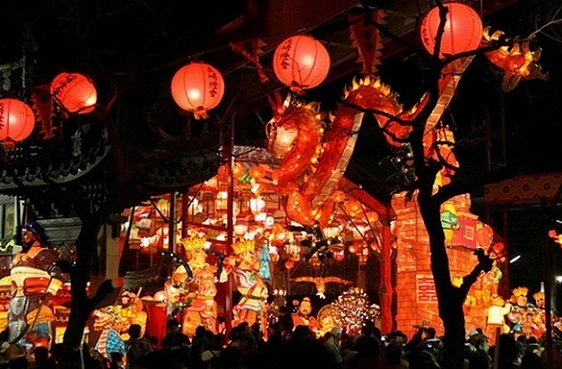 Learn more about Japanese New Year. Bounteous feast. Traditional food preparations mostly sweet, sour or dried are for blissful banquet as they welcome the New Year. Bell ringing. At midnight on the 31st of December believed as for cleansing of soul from the past year. After which everyone enjoys the soba noodle buffet. Firsts of the year. Aside from first trip to the shrine that has been one of their upright practice in Japan, some other first such as first sunrise, first laughter and first tea ceremony is being observe during the New Year. The 1909 eating of 12 grapes custom is still practice up to present for good fortune. The sweetness of the fruit likewise provides a smile that is best to wear to welcome the New Year. Everything has to be round from fruits, clothing to party themes as well as food planning to ensure the abundance of the coming year. Coin shape cookies and chocolates are surely sold out on all the grocery stores for this belief. 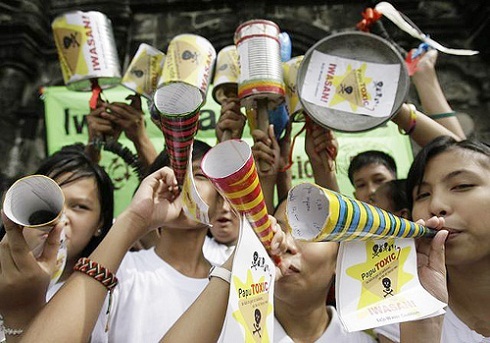 Others may even spend their New Year’s Eve destination in the Philippines. 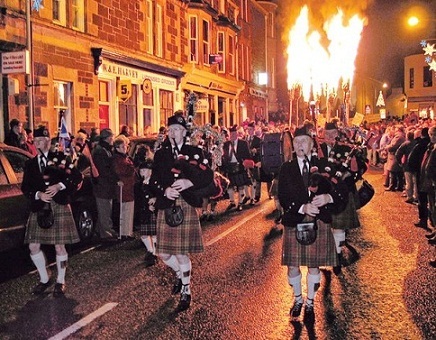 Hogmanay as they call the New Year which means Night of the candle. Getting the house clean is part of their tradition as it is considered the purification ritual. As based on the magical power of beginnings, the First Footer tradition is similarly well practice by the Scottish people, this refers to the first person to set foot into your home on New Year’s morning. Preferably a dark haired male that is tall in height with a present to have a pleasurable year. Opening the backdoor at the first second to midnight and shut afterwards to let go of the bad luck from the preceding year. Now, at exactly twelve, opening the front door signifies a tradition of welcoming the positive vibes and all the luck for the New Year. Grand feast with fish and pasta as their traditional dishes set in the dinner table. Events are set everywhere, social parties, concerts in the streets and family gatherings at home to welcome the prosperous New Year with food, drink, dance and cheers! Apart from the above mention customs from some countries. Funny, strange, but true traditions are observed too. 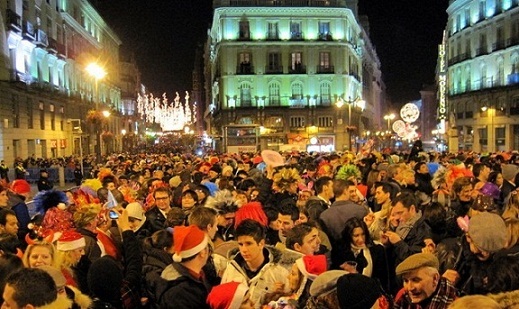 Here are some of New Year traditions in other parts of the globe. Dinner for one. A feast just for one is quite odd, when the rest of the world gathers for a grand celebration, a party for instance or a memorable trip for two just to be together in welcoming the New Year. Well, in Germany it’s the other way around. So be it. Yellow underwear. In Bolivia, folks are strangely getting busy buying yellow undies for the New Year’s Eve celebration. It’s said that they have to wait until midnight before they change their undies with yellow one. Crazy but true, changing the underwear signifies change of luck for the coming year. Memorial Park Visit. In Chili, the cemetery goes brighter not only on All Souls Day but while welcoming the New Year. A spooky belief that shows even from heaven the departed is somewhat part of the celebration. Forever together as it should be. This tradition is practice after the New Year’s Eve mass. This signifies the endless celebration of the New Year as one. Lead pouring. A big bowl of water and led pieces for the New Year’s Eve. Germans and Austrian are into this to take a peak for what will happen to the upcoming year. Lead poured into water to develop some form that has meaning for future use. Examples are  Anchor. An implication of eventual need of help  Ball. All year good fortune  Cross. Sadly, this one indicates death. Portraits burning. Locals from Ecuador sets up time on New Year’s eve just to burn portraits that has something to do from the previous year to forget the past and start a anew. Colorful Underwear. The joy, love and prosperity of the coming year depend on what color you wear as the New Year comes in Mexico. For instance, wearing red means full of love coming up. Wash Away. Windows cleaning by bucketing lots of water on the New Year’s Eve to it have shining shimmering, for a clean spirit for the coming year. Furthermore, the entire house should also be dusted. That’s the way Puerto Ricans show their readiness of what the coming year brings.